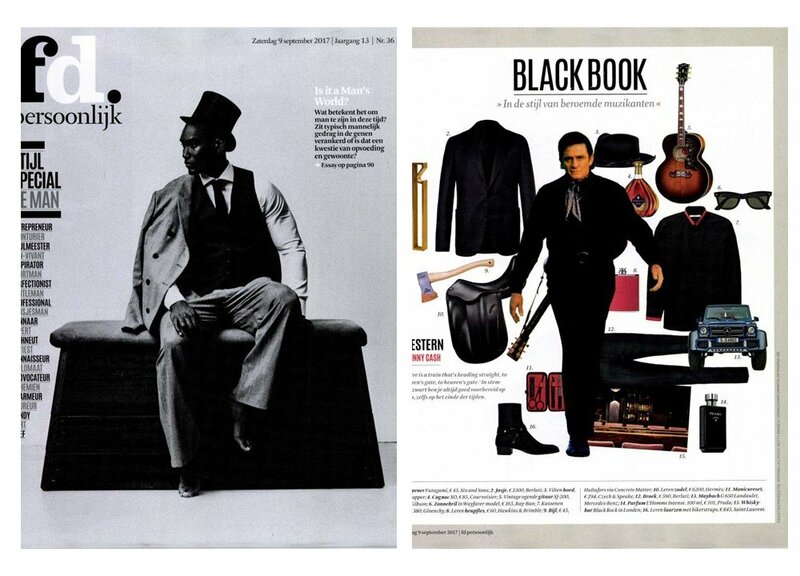 The Dutch magazine FD Persoonlijk included us in their Johnny Cash inspired style page, Black Book, with the red and black Air Safe leather bound Manicure Set. This is a four piece manicure set designed specifically to pass the airport security and allow you to bring it on your carry-on luggage. This award winning travel manicure set is beautifully presented in black long grain leather, with a contrasting red interior. The manicure instruments have been handmade especially for Czech & Speake in Solingen, Germany. All have rounded edges to conform to international restrictions on hand luggage for air travel. The long-life nail file was developed especially for Czech & Speake utilising extremely high tech and incredibly sharp synthetic crystals which act like microscopic planes in the way they trim and shape the nail edge.